Come stay at this sweet house on a quiet street that dead-ends at a park. The neighborhood is filled with many beautiful homes, and I highly recommend taking the walk to San Marco Square so that you can enjoy them on the way (River Road is particularly lovely). And once you arrive at the Square, you'll have multiple options for eating, drinking, and being entertained. The kitchen is fully equipped, and guests have access to the washer and dryer. The garage is not available to guests at this time, but there's a driveway for off-street parking. I love old houses, and from the time I spent a summer in Jacksonville 15 years ago, I hoped to have a home in San Marco. I was blessed to find this charming house, and now I'm opening it to others to rent. Throughout the renovations, I sought to preserve as much of the house's original character as possible. I hope that you enjoy the hardwood floors as much as I do: they're one of my favorite things about the house! Body wash, shampoo, and conditioner are provided. "All That Glitters Ain't Gold"
Perfect!! You can't improve on that! We needed to move from our home for 2 weeks to have new flooring installed. It was going to be a large task to make this happen. Finding a place to set up during this event was challenging until we found this home. And home it was...Everything we needed or wanted was there for us. We only needed groceries. No detail was overlooked. It was lovely and inviting. The linens were superb, the kitchen fully stocked for someone who loves to cook, the furnishings comfortable and classic. It was key to have reliable Wifi as I work from home. There was no way to know until we moved in but there were no problems whatsoever. For those who don't know the neighborhood..you can't beat it. You can walk to San Marco for dinner, drinks or shopping. Very convenient! If we ever need an extended or even short lived stay in the future, we will schedule it so we can stay in this home! Thank you, Catherine for a great experience. A great find in San Marco area of Jax! Catherine has quite a place here and lucky for all of us, she makes it available to rent. The house, furnishings, beds, linens, kitchen accessories, etc... are all thoughtfully offered and organized. Although we planned our trip primarily to explore San Marco, we found ourselves enjoying the house just as much. 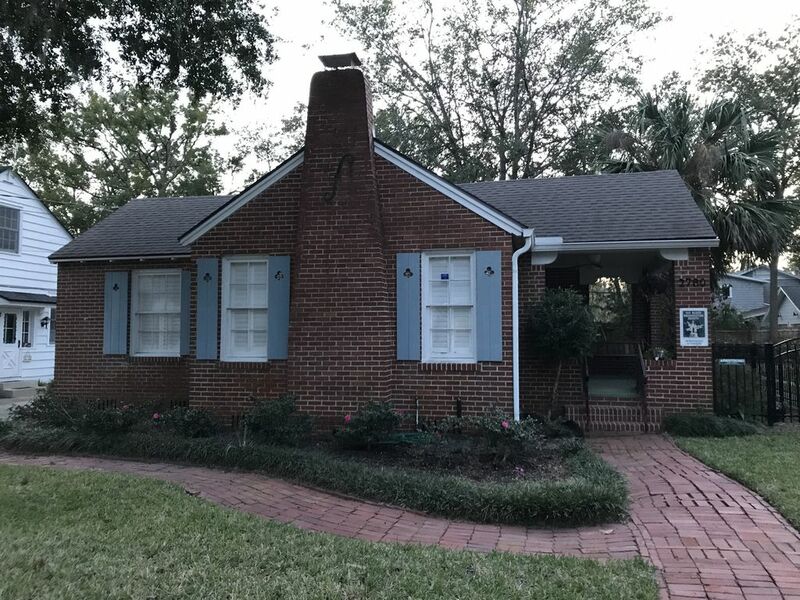 If you’re looking for the perfect place to stay in San Marco this house should be on your short list - you’ll not find a better spot, or host. Thank you, Catherine. The cottage is in the San Marco neighborhood, surrounded by beautiful homes and just steps away from River Oaks Park. A walk along tree-lined streets will put you in the Square in less than a mile, and there you'll find restaurants, boutiques, a local chocolatier, an Art Deco movie theater, and a community playhouse.